Ferula-min Alpha® is a well-known brain supplement in Japan and contains ferulic acid extracted from rice bran and plasmalogen extracted from sea squirt. In Japan, a country where lifespan is one of the longest in the world, people do not only wish to live longer; they also want to live a full and healthy life. 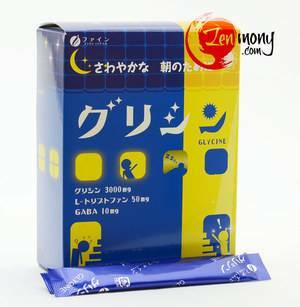 This product is recommended for those who feel that they are becoming forgetful or their concentration ability is not at its best. Ferulic acid, the phenolic phytochemical, is present in the form of ferulic acid ester and glycoside in the cell wall components in such plants (and their seeds) as rice, wheat, different vegetables and citrus fruit. It is also possible to synthesize ferulic acid artificially, but it is common to use ferulic acid extracted and refined from different plants. Ferulic acid in Ferula-min Alpha® products is extracted from rice bran oil. Ferulic acid is contained in the proportion of 100～400mg/kg in the aleurone layer of rice and wheat bran. In Japan, where an aging society has become a major problem, and there are more than two million people with dementia, people have started paying more attention to sustaining the health of their brain. 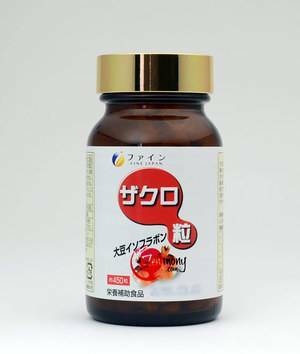 And finally the long-awaited brain supplement has debuted on the Japanese market, and was covered and widely discussed in different media. 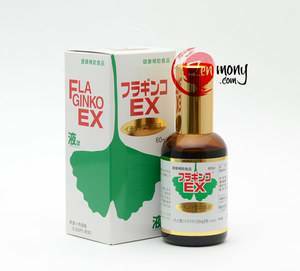 This product contains a well-balanced combination of components, such as the news-breaking ferulic acid, green unshu mandarin powder, and the newest component, sea squirt extract rich in plasmalogen. 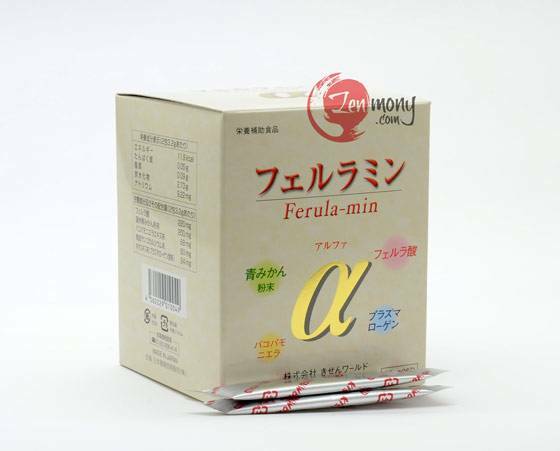 Ferulic acid Ferulic acid is a type of poliphenol extracted from rice bran. 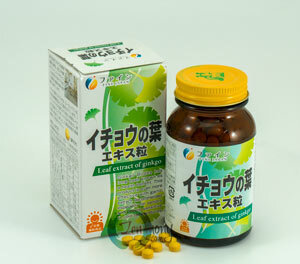 Its effects such as ultra-violet ray absorption, antioxidant function and others have been officially acknowledged. This has attracted the attention of many experts in such fields as cosmetics and medicine. Ferulic acid is an organic compound found in the cell wall components in sprouted brown rice, black rice and other plants, and is capable of suppressing the beta-amyloids which increase with age in the brain cells and are believed responsible for such conditions as dementia. Plasmalogen is present in all tissues of mammals, and in humans it accounts for about 18 percent of all phospholipids. Plasmalogen is especially abundant in brain neurons, the heart, lymphocytes and macrophages. Plasmalogen is present in large amounts in the brain and in recent years it was discovered that this substance participates in controlling the release of many substances, such as neurotransmitters responsible for basic brain functionality. 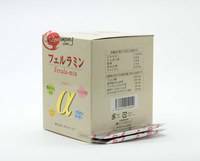 ferulic acid, vitamins C, E, B1, B6, B2, A, niacin, pantothenic acid Ca, glucose, gemmai rice sprouts, unripened green mikan mandarin powder, bacopa monniera extract, coral calcium powder, sea squirt powder. Suggested Use: Take 1-2 sachets daily with water.